Beautifully equipped townhouse on the Stowe ski area access road. Nestled in the mountains of Vermont. Breath-taking views. Adjacent to Stowe Country Club. Area attractions include down-hill and cross country skiing, golf, hiking, horseback riding, spas, shopping, wide variety of dining choices. Visit the Von Trapp Family Lodge. Modern and clean. Gas fireplace. In-door/out-door pool, sauna, whirlpool, tennis court, game room. Fully-equipped kitchen. Master bedroom with king-sized bed. Second bedroom with twin beds and a loft equipped with twin beds. Two full baths. Pull-out couch in the living room makes it suitable to sleep 8. 30 miles from Burlington, VT. Available only for dates listed on the calendar below. The unit is directly across the street from the 18th fairway at Stowe Country Club. You can sit on our patio and watch players as they approach the 18th hole. Coin-operated washer and dryer provided in main building a short walk from the townhouse. WiFi available from the main office a short walk from the townhouse. Ski and snowboard equipment available to rent or purchase in several locations in the area. Stowe Country Club across the street. Several other golf courses available within a 20 minute drive. Clean and well kept townhouse. Quite area. 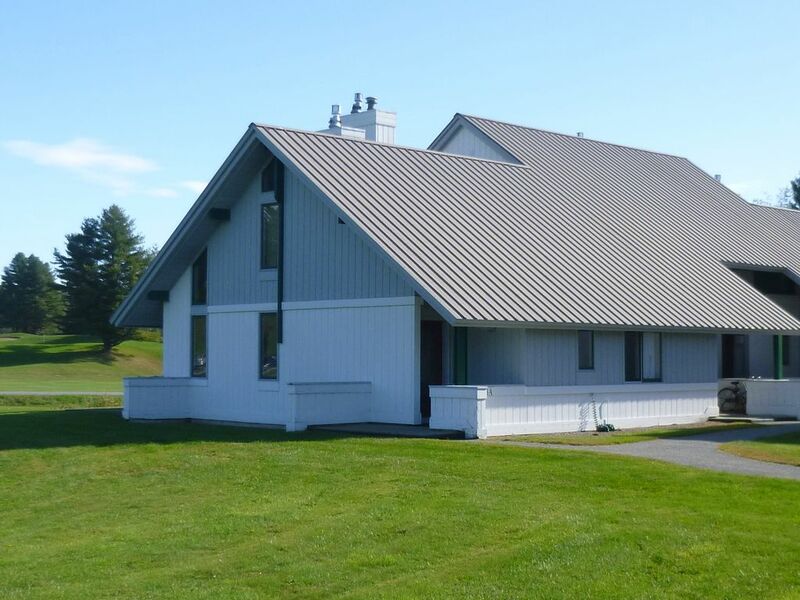 Convenient location between stow mountain base and the town of Stowe. Close to everything. No frills but has everything you need. I would stay there again. Sofa bed needed a repair but everything else was great. Clean, good communication, etc. Would definitely stay there again. Stayed for NY 2018. Property owner is very accommodating; the location provides quick access to local restaurants and mountain. Kids loved the pool and recreation area. Very spacious. Thanks Sarah. Hope u enjoyed your stay even though it was very cold there. Our stay was great. you can walk outside and see the beautiful Vermont mountains. The golf course is right across the street. Kitchen is great with a stove, cooking utensils, coffee maker, etc. indoor pool and hot tub are a plus. Plenty of bedrooms and "run around" space for kids outside. Security Deposit will be collected at Resort Office at Check In.